UH Hilo School of Education seeks to be the HEART of our learning community. The School of Education is proud to serve our educational learning community. Partnerships are a vital part of our programs. Our alumni teach in private, public and charter schools across the country, state, and island communities. Some have earned the distinction of being a National Board Certified Teacher while many others are now serving as local administrators. 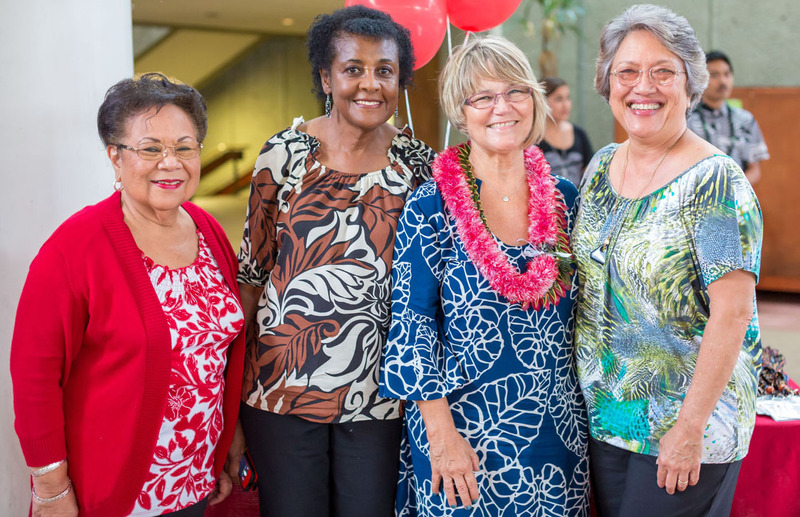 Community outreach efforts include School of Education service to the educational community and support received from our local school and university partners such as the Hawaiʻi Island Retired Teachers Association. Since 2002, over 200 students have graduated with degrees or certificates from the School of Education. Many UH Hilo School of Education alumni have gone on to become certified by the National Board for Professional Teaching Standards . If you are an alumni of the School of Education, we’d love to connect with you and find out where you are now. Please complete our alumni form (PDF) and send it to us. Faculty members work in collaboration with private and public schools administrators, retired administrators and teachers, community business leaders, and university faculty and staff. Various individuals within our community have been an integral part of our strategic planning, resource development, marketing, recruitment, and professional development efforts. Much of our growth and development can be attributed to our community supporters. Hawaiʻi Island Retired Teachers Association – HIRTA continues to work diligently to support teacher candidates by hosting an annual poinsettia sale. The proceeds from the plant sale provides Year 1 MAT completers with hand sewn lanyards and goodie bags filled with school supplies. Local Schools – Our undergraduate students volunteer time working with K–12 students in a variety of educational settings to help them decide if teaching is the right profession for them. Several courses afford students the opportunity to tutor K–12 students by working one on one with individual students or teach in small groups to observe how learning occurs. These experiences serve dual purposes: they build early professional knowledge for those who intend to work towards teaching certification and provide service to the educational community at the same time. Professional Development Workshops – In collaboration with the Big Island Council of Teachers of English (BICTE), the School of Education hosts annual teacher workshops and professional development activities to support teacher development of literacy practices. The School of Education faculty also offer hands-on math professional development for math and special education teachers which focus on lesson and assessment development. UH Hilo is a campus of the University of Hawaiʻi System and is an Equal Opportunity/Affirmative Action Institution. Request more information about UH Hilo. Website Privacy and Policies.